Inside the greenhouse of Smith Gardens, Andrea Avila-Aragon examines product with Joaquin Romero. When people talk about the nursery industry’s human resource challenges, they often speak strictly in terms of labor. But the nursery industry needs people at all levels, from entry-level workers to crew leaders, supervisors, managers and above. To succeed in a challenging industry, nursery companies rely on the experience, technical knowledge, management ability and leadership skills of top employees. The problem is, those people will eventually retire, take a different job, or resign for other reasons. Who can replace them? A 2015 study by Purdue University and the U.S. Department of Agriculture predicted that there would not be enough college graduates (bachelor’s degree or above) in STEM fields (science, technology, engineering and mathematics) to fill available positions in a variety of fields, including agriculture, between 2015–2020. Longtime industry leaders such as Art Anderson know what this means. Finding replacements is an industry-wide concern. The development of talent can happen through college training programs and internships. However, it can also occur internally, within companies, through mentorship and training programs that use internal or external resources. The key is letting people know that opportunities exist and are open to all. Then it is just a matter of finding the right fit for the person and the organization. Andrea Avila-Aragon of Smith Gardens presents her leadership development board to Salvador Ramirez. Ryan Contreras and Lloyd Nackley, both professors in the Oregon State University horticulture department, know some nurseries are struggling to hire for jobs that require a degree or equivalent knowledge. Enrollment is healthy in the department, but according to Nackley, many of the students don’t realize nursery is the top-grossing sector in Oregon agriculture. OSU offers several curriculum options within the horticulture major. They include plant breeding and genetics, viticulture, landscape and turf, and ecological and sustainable horticultural production. The last option is the most popular, attracting ecologically and organically minded students. The curse (or blessing) of the nursery industry is the diversity of the plants, making the work more difficult than a mono crop. For students who want to dive in, OSU offers a traineeship at the North Willamette Research and Extension Center in Aurora, Oregon. The interns get as many hands-on experiences in one week as students receive in an entire quarter of lab classes, and the internship lasts for 8-12 weeks. Tom Cammarota of Peoria Gardens works on a computer. Of course, nurseries don’t just hire college graduates, but professionals with all levels of experience. Mark Buchholz, president of Skagit Horticulture, a grower based in Mount Vernon, Washington, leaves no stone unturned in looking for them. Smith Gardens, headquartered in Bellingham, Washington with four West Coast locations, likewise casts a wide net. Linda Eshraghi, owner of Eshraghi Nurseries wholesale operation in Beaverton, Oregon, as well as a retail arm, Farmington Gardens, has had the best results through networking. “Pretty much everyone I’ve hired has been referred to me by somebody I trust,” she said. The difficulty of filling positions means the nursery industry can’t afford to overlook good candidates, regardless of gender, cultural background or other characteristics. That hasn’t always happened in the workplace, and the nursery industry is no different. Eshraghi remembers when she first started out working for Glenn Walters Nursery during the 1970s. The first week, her supervisor didn’t want a woman working in propagation and told her she should go be a cashier at Safeway. “That just made me dig in deeper,” she said. Nursery co-founder Viola Walters took Eshraghi under her wing and gave her opportunities. She soon became a roving troubleshooter for the company that then owned the nursery. They sent her to other locations in California and South Carolina. Viola’s mentorship helped Linda realize her potential. Andrea Avila-Aragon, shipping manager for Smith Gardens, encountered discrimination more recently, in her native country. She worked in ornamental horticulture there for 13 years, advancing to the position of general manager. It took creativity to overcome the obstacles. “All my customers were male, all my coworkers were male, and all the people who reported to me were male,” she said. Smith Gardens hired her as a selecting supervisor after she moved to the United States with her husband and children. A year later, they promoted her to shipping manager. According to Buchholz, companies must make a conscious decision to consider all candidates, or they will miss out on people who can help them. Raphael Calderon of JLPN removes samara wings from a batch of seeds. With graduates not filling all needs, and outside candidates difficult to find, many companies are turning to a third source of talent: current employees. By consistently finding training opportunities for their workers, companies can add more layers of talent, skill, experience and wisdom to their current roster, thereby growing their own farm team of strong candidates for promotion. 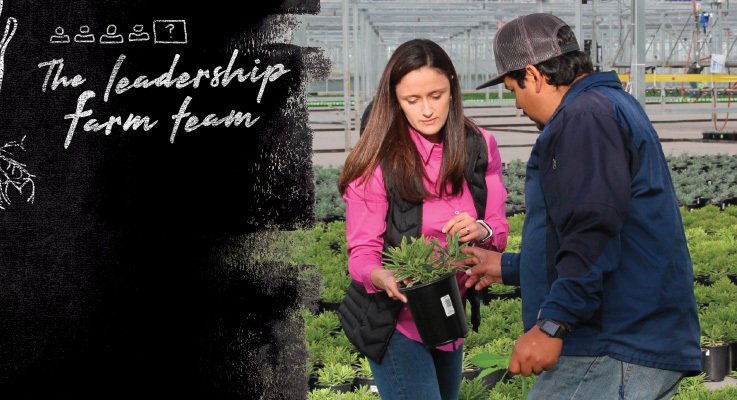 Shane Brockshus, general manager of West Coast operations for Bailey Nurseries, looks for people who are ready for more responsibility and mentors them. Wes Bailey, of Smith Gardens, does the same and wants people to know the opportunities exist. “When people come and ask if there’s opportunity for promotion and growth from within, I like to have five or six different examples at my fingertips,” he said. 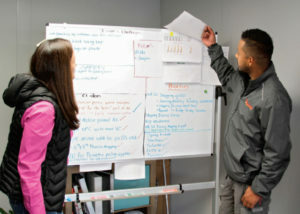 Smith Gardens has enhanced its focus on formal, internal training programs. The company is developing a “training library” for leads, supervisors and managers. The material covers nontechnical subjects, such as communication, email and how to manage difficult employees. The company also offers regular English classes for entry-level workers, giving them a skill they must have if they want to advance. After overcoming obstacles in her career path, Avila-Aragon now wants to help others. 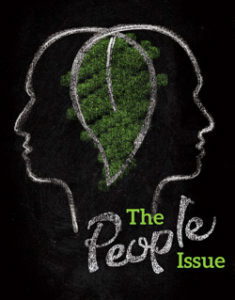 She considers the development of people a crucial part of her job. In looking for future leaders, she identifies workers who display a willingness to learn, knowledge of company processes, and respect for people. A whiteboard in her office is labeled “leadership development.” She updates it regularly with goals, strategies and challenges for her employees. Often, the people she wants to promote have a gap in leadership skills. Using a questionnaire, she tries to identify typical workplace situations they are comfortable with. For example, she asks if the employee would feel comfortable telling their supervisor, manager or even company owner they are wrong about something. “Where I get the no’s, I know what I have to focus on,” she said. Her coworker, Andres Alamillo, serves as Smith’s continuous improvement manager, and is in charge of implementing Lean at all locations. Lean principles require giving employees a voice in problem solving, and participating in creating solutions prepares the employees for better things. Another path to finding outside talent is internships. Several Oregon nurseries offer them. Many are listed on the OAN website at www.oan.org/interns. Bailey is one. Their West Coast operation works with at least two interns per season, each for three to six months. Taking employee development a step further, J. Frank Schmidt & Son Co. has invested in a formal management trainee program for people who can help the company long term. It is available to candidates with college degrees, nursery experience or both. Candidates are recruited from all over the country. “We started the management training program to identify people who have the potential to work their way through our organization, and have the capacity and ability to advance over a number of years,” Anderson said. Trainees are chosen through a rigorous process and given experience in all aspects of the operations at the company’s six different farms. 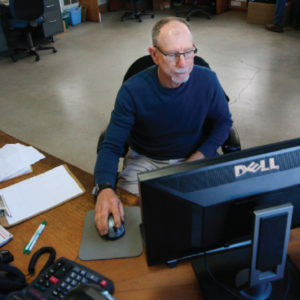 How growers are finding — and retaining — the leaders and workers they need for business success.